PLANNING A BAR/BAT MITZVAH, SWEET SIXTEEN OR OTHER SPECIAL OCCASION? Selecting the perfect entertainment for your event doesn’t have to be a time-consuming process. In one evening, you can consider the best MCs and entertainment packages that this area has to offer in a relaxed, comfortable setting. Our showcase will feature MCs, DJs, event lighting, and much more. 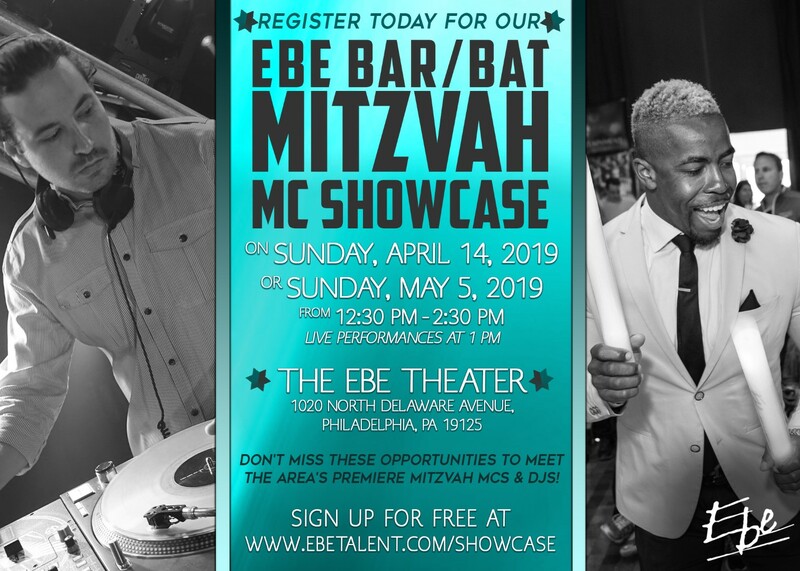 EBE’s dynamic Bar/Bat Mitzvah Emcees, top-notch DJs, Musicians and super fun Interactive Dancers know how to get your party jumping for teens and adults alike! With EBE, you can rest assured that your entertainment team will custom tailor every moment and collaborate with all of your party vendors to deliver your vision with fun, sophistication, and class. Come experience it for yourself!